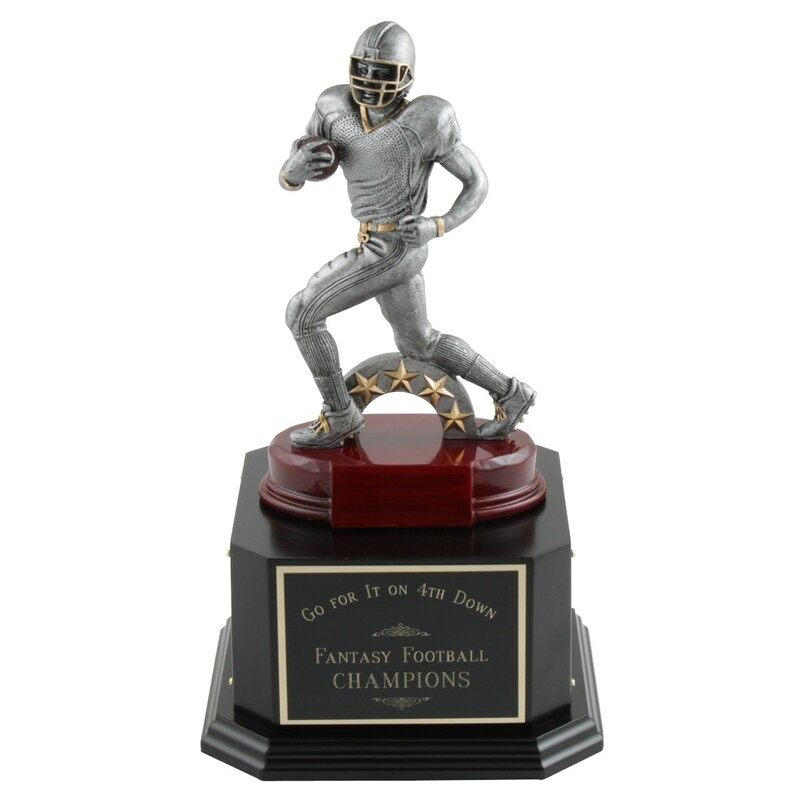 Create a legacy for your league with the Ultimate Fantasy Football Perpetual Trophy! 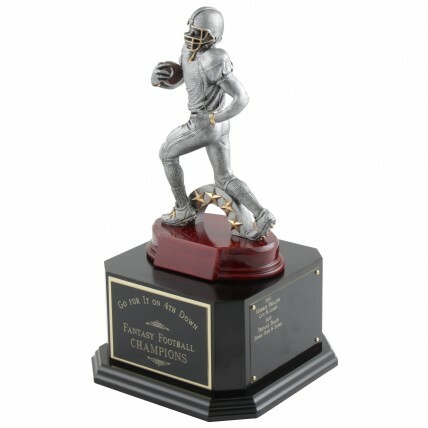 In your choice of 2 sizes, it features a runningback resin figure on a black wooden base. Your personalized engraving is included on the front plate. 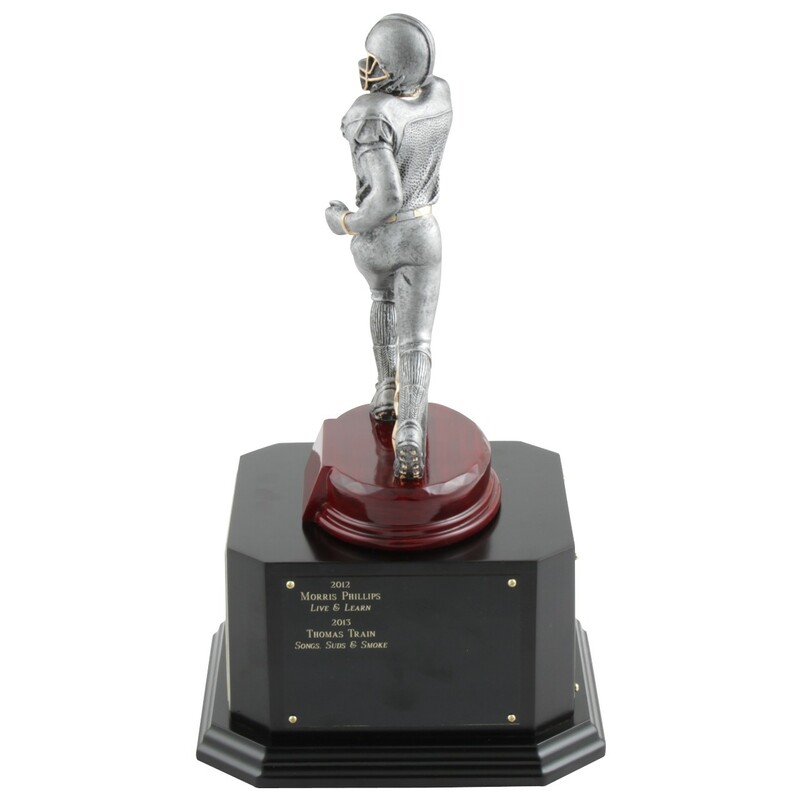 Add the optional brass plates on the remaining three sides for engraving each year's winner; each side can hold six to eight years.